This Atlas grey door mat from Multy Home is sure to spruce up the entrance to your home. This mat has a rectangular shape for style and convenience. Designed from synthetic fibre material with a style for optimal indoor use. This mat is made with synthetic fibre material, which is stylish and comfortable. The contemporary design of this item is comfortable and durable. Spruce up your doorway's style with this mat. Created for comfort and functionality, Connect-A-Mat is the original in interlocking comfort flooring. Each package contains 4 tiles and 8 border pieces; totalling 16 square feet. These colourful light weight Ethylene Vinyl Acetate (EVA) mats allow you to create instant flooring solutions in any space. Use Connect-A-Mat to add colour and comfort to workrooms, playrooms, nurseries, classrooms, laundry rooms, or home gyms. 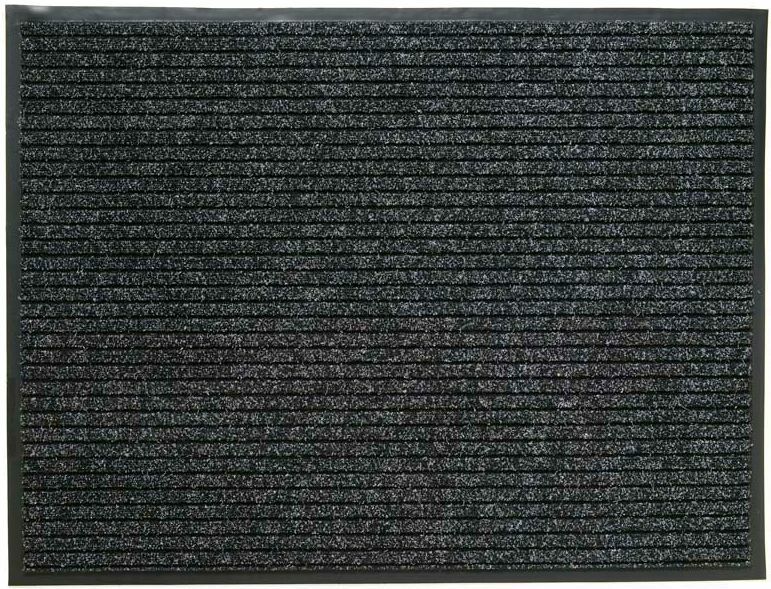 Recycled rubber mat featuring dog paw shape is every dog lover's delight. Show your character at your front door. Heavy weight mat is weather-resistant so it can be used outside all year long. Know that you are diverting car tires from landfill with this eco-friendly, weather-resistant mat that can be used outside all year long. Elegant brown door mat adds style at your front door. Larger estate size, with recessed channels to scrape dirt and water away from the surface. Design are in brown, beige and grey color family, complementing any entryway. This hefty mat stays where you put it and is weather-resistant so it can be used outside all year long. Know that you are diverting car tires from landfill with this eco-friendly, weather-resistant mat that can be used outside all year long. Add this Lanart Rug Jaipur mat to your hallway, dining room, or living room for an infusion of style. Designed as an indoor piece, its plush cotton material will make you feel cozy and comfortable. Make a lasting style statement with this machine-made rug. Quality is assured with this geometric patterned brown rug. Atlas Grey 4 ft. x 6 ft. Indoor Rectangular Door Mat This Atlas grey door mat from Multy Home is sure to spruce up the entrance to your home. This mat has a rectangular shape for style and convenience. Designed from synthetic fibre material with a style for optimal indoor use.